Your gut health is something that is very important, not only for how you feel on a daily basis but on your overall health as well. A big part of your gut health has a lot to do with the foods that you eat. Everything that you consume is going to have some sort of effect on your body, whether it’s good or bad. One of the first places that your food goes when you consume it is to your gut. So, it makes sense that you can have foods that are good for your gut health and foods that are bad for your gut health. This article is going to focus on the foods that are going to negatively affect your gut health. The following foods are going to be ones that you want to try to avoid as much as possible. If your gut health is already something that is a problem for you, it’s crucial that you stay away from as many as these foods as you can. They are only going to hurt you in the end. Although they may taste amazing, they aren’t going to help you at all. Just because some food tastes great doesn’t mean that it’s going to be good for you, no matter how many times you try to convince yourself otherwise. You need to be more conscious of what you’re consuming and how it’s making you feel. 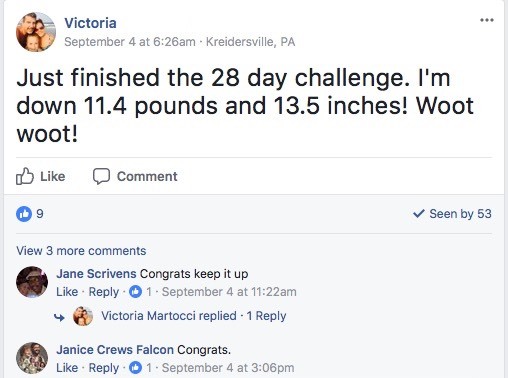 If you don’t, you could go through the rest of your days with pain and suffering just because you didn’t want to make tiny changes to your diet. You should know by now that sugar isn’t something that you should be consuming on a regular basis anyway. Sugar is something that is going to allow the bad bacteria in your gut to thrive. This is the main reason as to why this is one of the worst foods for your gut health. When it comes to sugar, when you consume some, you’re going to want more and more and more. In some cases, you could actually become addicted to sugar. This is going to cause your gut health to be extremely out of whack. The reason you want more sugar whenever you have a little is that the bacteria that thrive off the sugar cause you to crave more. Sugar is something that the bacteria need to become dominant in your gut. When you allow the bad bacteria to thrive, your gut will feel the consequences in no time. 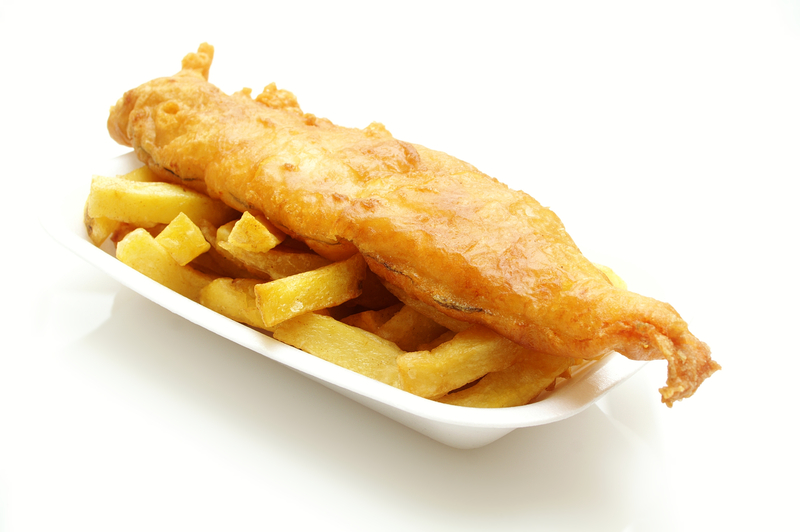 There’s a reason why you’ve always been told that fried and processed foods aren’t the best for you. They really aren’t good for your overall health and this can go back to your gut health. Processed foods don’t have any positive impact on your gut health. 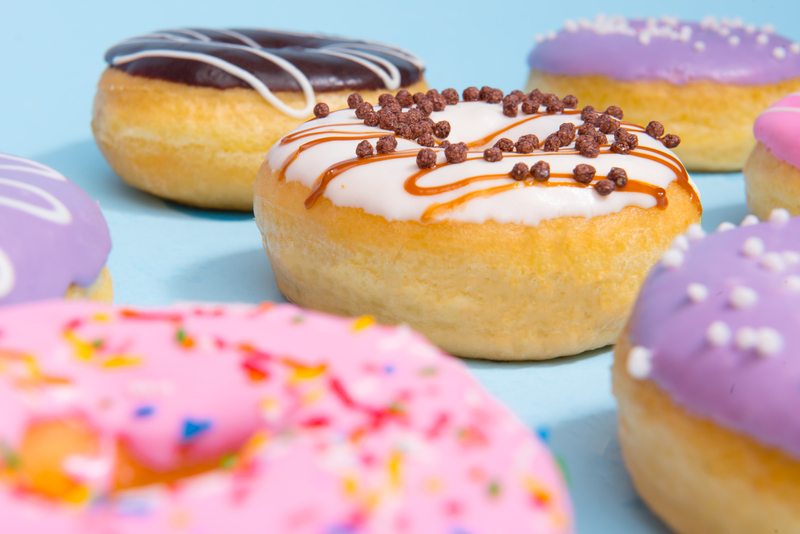 Any processed foods that you consume are going to have the same effect as sugar does when it’s in your gut. The bad bacteria are going to love it, but the good bacteria are going to suffer more because they don’t feed on all the junk that your body might be consuming. Eating these types of foods are going to reduce the diversity of bacteria that are in your gut as well. This should be very alarming because, typically, when you have more bacteria and more diverse bacteria, you’re more likely to be healthy. Fewer bacteria usually means that you have poor gut health. By having a lack of diversity of bacteria in your gut, you’re essentially setting yourself up for failure. This is what you’re doing when you consume fried foods as well. I know what you may be thinking, soy is typically considered to be a healthy option for most people. While this is typically true, a lot of soy that you consume is more than likely genetically modified in some way or another. When a food is genetically modified, that usually means that they are processed in some way. This would make a lot of the soy out there a processed food. Since we just mentioned processed foods, there shouldn’t be much debate about why you should really watch the soy you consume. It’s important to clarify that a lot of soy out there isn’t genetically modified. This type of soy is perfectly fine. However, when you aren’t consuming soy that’s made in a traditional, healthy way, you’re going to be consuming soy that will harm your gut health. Red meat is typically around us most of the time. The typical American diet has some sort of red meat on a near-daily basis. There’s nothing wrong with this, but it can have a significant effect on your gut health. 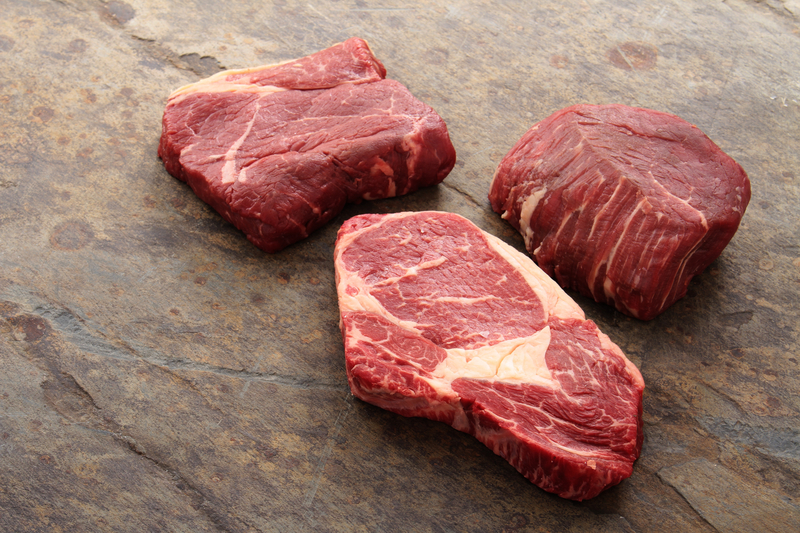 Having some red meat that’s organic and grass-fed isn’t going to hurt you a great deal. However, a diet that’s heavy in red meat can be very bad for your gut health. It’s important to switch things up from time to time when it comes to your proteins. Too much red meat cause the bad bacteria in your gut to thrive more. Keeping it in moderation will keep your bad bacteria at bay for a while. The bad bacteria won’t be able to thrive and dominate your gut if you keep things at a reasonable level. Although GMO foods aren’t going to be the number one worst type of food for your gut, they are still nowhere near the best. Avoiding GMO foods will give your gut the best chance to stay healthy for a longer period of time. Most GMO foods contain an herbicide called glyphosate. This is something that can really cause a problem with your gut health. Another reason why GMO foods aren’t recommended for those that are looking out for their gut health is that they can actually alter the genes of the bacteria in your gut. Your gut bacteria can literally change functions because of GMO foods. That’s enough reason for me to stay away from them. Did you just say farmed fish? Yes, I did. I’m sure some of you didn’t even realize that some fish you consume are farmed. You may not have even known you could farm fish. However, the problem with farmed fish is that they are fed a diet that is not typically anywhere near the same as it would be if they were in the wild. When you have farmed fish, they are usually fed a lot of antibiotics in their food and given some growth hormones. This is why a lot of wild fish are smaller than fish that are farmed. Both of these factors are going to contribute to poor gut health. They aren’t going to benefit the good bacteria in your stomach at all. This might be the most surprising “food” on the list because it’s water. We all need water to live. Water takes priority over food in most life or death situations. If you’re on a desert island, the first thing you need is water, then you begin to look for food. Notice that this is specific to tap water. A lot of the time, tap water is treated with chemicals to make it safe to drink. Some of these chemicals are going to cause feed your bad bacteria and cause your good bacteria to shy away. Hopefully, this doesn’t deter you from drinking water because it’s a necessity. Just be mindful of the tap water you choose to drink. There are people out there that are already a bit sensitive to dairy, to begin with. 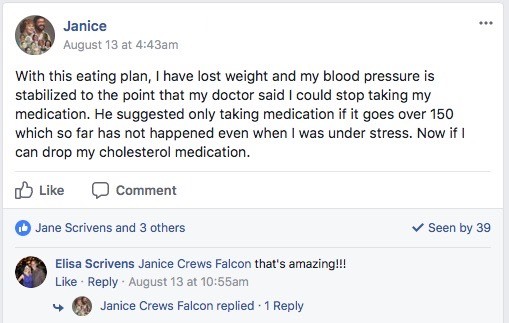 These people’s guts are going to experience significant negative effects when they do have some dairy. A lot of dairy products contain antibiotics, which are usually a good thing for the human body. However, when they are overused in the body, your gut begins to feel the effects of it. Too many antibiotics are going to essentially have the same effect as processed foods do in your gut. Gluten is something that a lot of people in the world are starting to lean away from more often. Mostly because more people are having issues with gluten. Their bodies can’t handle gluten or the have celiac disease. They have to avoid gluten altogether. Having gluten is going to have a significant impact on your gut no matter what, even if you don’t have celiac. Your bad bacteria are going to absolutely love the gluten. Gluten is a type of protein that’s found in a lot of grains. Grains are found in a lot of carbs and legumes which are foods that the bad bacteria like feeding on. These foods help the bad bacteria flourish just a little bit more than the good bacteria. If you’ve never given a second thought about your gut health then you need to change that immediately. Your gut health is more important than you realize. Having a healthy gut can mean that you avoid a lot of different types of health issues. A poor gut makes your body much more vulnerable to health issues. Having the above foods are going to make it harder to have a very healthy gut. 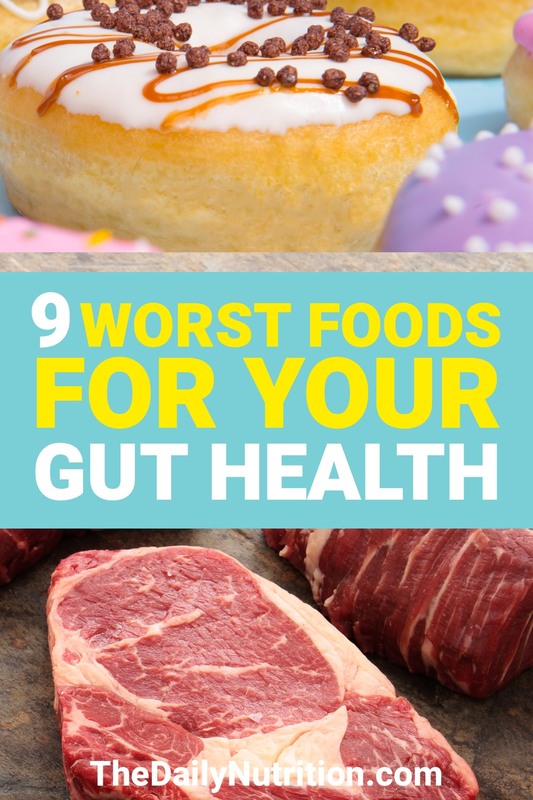 If you can avoid these foods more often than not, your gut health will be safer and you will have much less to worry about when it comes to your health. Enjoyed 9 of the Worst Foods for Gut Health and Why They’re Bad? Share it with your friends so they to can follow The Daily Nutrition journey.